We research, explore, and identify innovative groups working with children and youth around the world. We invest wisely, funding our partners’ life-changing programs for children and youth and keeping a watchful eye on how those funds are put to use. We advise, mentor, and guide our partners. We build mutual trust, accountability, and enduring relationships. We provide tools for self-assessment. We support and help our partners grow. We connect our partners to each other and to national and regional networks. We bring together brilliant minds to share knowledge, fuel advocacy, and build movements of social change. And when our partners graduate, we stand proud. Our greatest joy comes from knowing that we played a part in helping our partners grow strong enough to continue their important work for children without us. 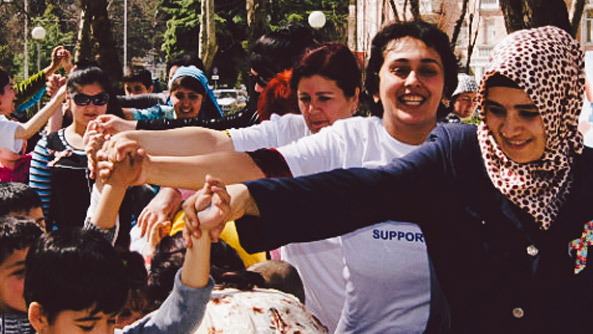 Innovative leaders around the world need support for their programs. 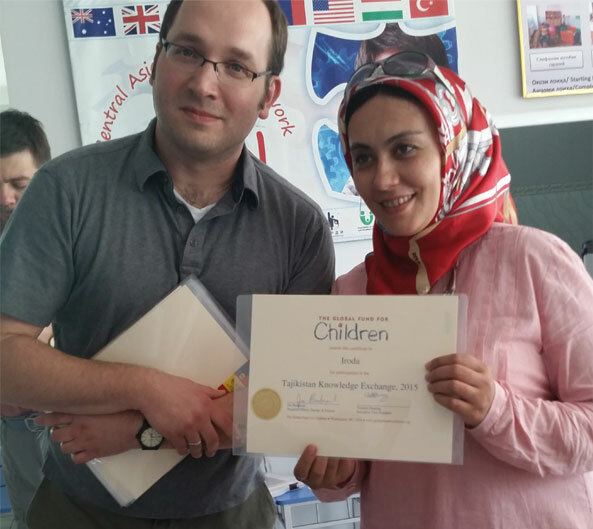 Lola Nasriddinova was part of a group of dedicated parents in Tajikistan who created IRODA, an organization to help their children who were affected by autism spectrum disorder (ASD). At that time, ASD was not recognized by the government as a credible condition worthy of support, diagnosis, or treatment. Lola and her team were determined to change that. They had received a small grant that provided enough funds to hire therapists to work with a handful of children in a small cottage. But they needed more funding to train the therapists, to have more space for the therapy, and to further develop the organization’s structure. GFC Regional Program Director Joe Bednarek learned about IRODA from a colleague who told him about a new parent-run organization in Tajikistan—the only one in the country working on ASD. Joe traveled to Tajikistan to meet with this potential partner. Lola and her team welcomed Joe to their modest facility and shared their challenges with him. Joe was impressed by the group’s mission, and by the dedicated volunteers who were fully committed to growing the organization. He recommended IRODA to GFC’s internal vetting committee. The vetting committee reviewed IRODA’s profile and the organization’s grant proposal, which detailed its vision for the future. They were impressed with the group’s commitment, its plan to gradually build capacity, and its focus on diagnosis and training. The committee said yes. The Board approved. A small grant was awarded to help pay for therapists, training, and a larger facility. GFC provided opportunity grants to send IRODA staff members to be trained in Russia. We wrote recommendations to other funders. We advised IRODA on internal challenges, shared ideas for additional funding, and mentored the group on other areas of growth to help more children thrive. We invited IRODA staff to attend our first Knowledge Exchange in the Central Asia region, introducing them to their peers in the field. 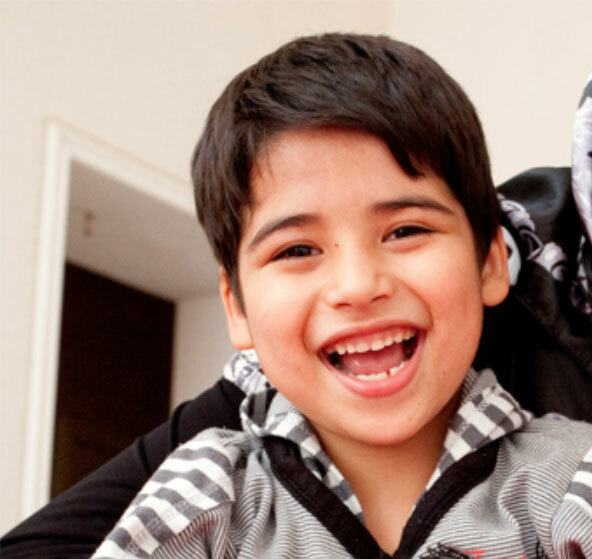 The organization became a leader in the Central Asian Autism Network. Our investment helped IRODA build its network and gain confidence and respect in its field. 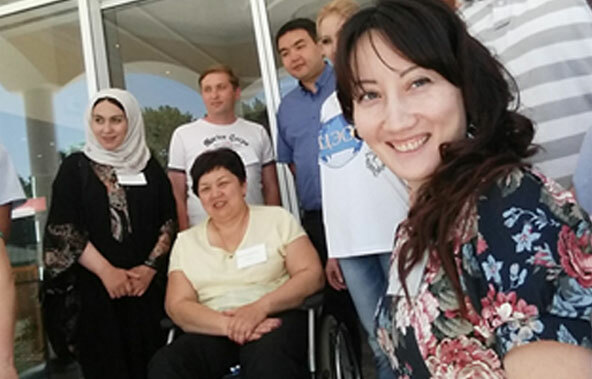 IRODA is now a trusted voice for training, advocacy, policy, and support for ASD in Central Asia. The organization has increased the number of children it works with sevenfold since we started working together. When partners like IRODA reach a critical point in their development, they graduate from our program. On that day, we stand proud of all they have accomplished, and feel honored to have been part of their journey.